Netflix and Miramax today announced a multi-year agreement under which Netflix members in the US will be able to instantly watch some of the motion pictures from the Miramax film library. Financial terms of the deal were not being disclosed. This is a big win for Netflix because it is once again expanding its library, but it is even more significant if you take into account that this is the first time Miramax titles have become available through a digital subscription service. Beginning in June, Netflix members in the US will be able to instantly watch several hundred Miramax movies, with dozens of titles being added on a rotating basis. More specifically, the partnership means the Netflix library gains a variety of films which collectively have 284 Academy Award nominations, across 83 films, with 68 wins, including the Best Picture winners The English Patient and Shakespeare in Love. Other titles will be available over time; here's a few notable ones: Bad Santa, Chasing Amy, Cinema Paradiso, Clerks, Cold Mountain, From Dusk Till Dawn, Good Will Hunting, Kill Bill Volumes I and II, Muriel's Wedding, The Piano, Pulp Fiction, Reindeer Games, as well as many of the Halloween, Scary Movie, Scream, and Spy Kids movies. "From day one, we've been very clear about the importance of digital and our desire to respond to the significant pent-up demand for our films -- delivering to consumers whenever and wherever they want," Miramax CEO Mike Lang said in a statement. "This agreement is an important first step in our digital strategy. 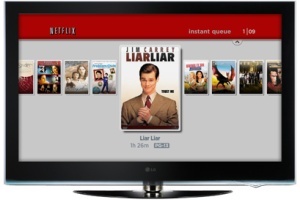 Netflix has always been a trailblazer, with a tremendous track record of innovation and quality customer service. We're thrilled to now be in business with them as we build and revitalize the proud Miramax brand." The fact that the deal is limited to the US shows yet another problem as the company plans a possible expansion overseas. Just two months ago, Netflix got subscription TV rights to Paramount movies in Canada. The streaming giant will have to continue striking deals on a country-per-country basis as that's just how licensing agreements work. That may seem like a pain, especially as it means you can't tell your customers worldwide that they all get the same identical service, but Netflix isn't in a position to completely change the game. Nevertheless, it's revolutionising a lot already.